The Petal Visa® Credit Card has opened applications to everyone in the United States. The card previously had a waiting list to apply, but it’s now in full bloom as a credit-building option for those without a credit history. 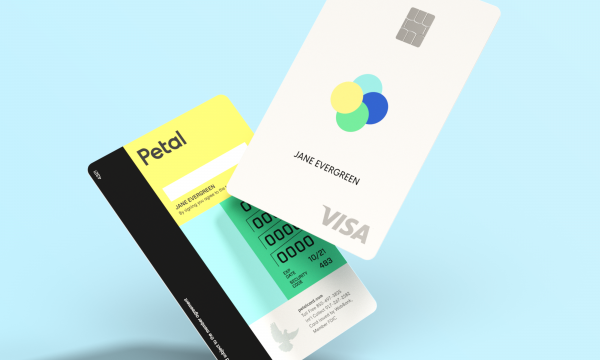 The Petal Visa® Credit Card joins the growing list of alternative credit cards designed for people who can’t meet traditional credit card qualification standards. Its underwriting process doesn’t require applicants to have an established credit history, and it doesn’t require a security deposit like many starter cards do. Interest rate: The ongoing APR is 15.24% - 26.24% Variable APR. Credit limit: $500 to $10,000, depending on creditworthiness. Account management and budgeting tools via the iPhone app or mobile-optimized website. Ability to freeze the card if it’s misplaced or stolen. You must be a U.S. resident with a valid Social Security number or an individual taxpayer identification number to qualify for the Petal Visa. Petal evaluates applicants’ creditworthiness with its own underwriting model that takes into account their income and other debts. The algorithm also analyzes applicants’ expenses and savings, Gross says. The Petal Visa® Credit Card doesn’t offer rewards, but its no-fee approach and transparency make it an attractive option compared with high-fee starter cards or secured cards that require a cash deposit. The card also offers the potential for a higher credit limit and a lower interest rate than you’d find on typical cards for people lacking a credit history.